As Techzo, we believe in providing the quality services which fulfills the expectations of our clients in an efficient manner. 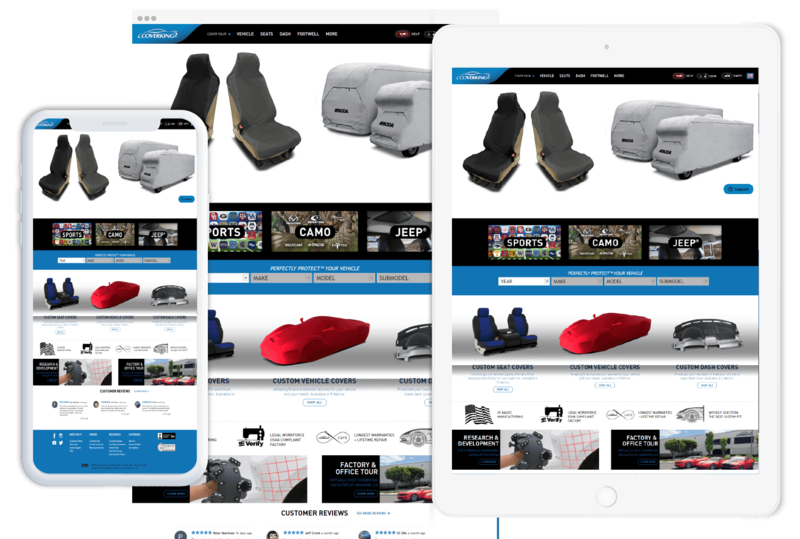 Cover king provides online services in which they offer car accessories including car covers and seat covers. Their fast shipping services deliver products on time with safe packaging. We have developed a WordPress website through which they can better exhibit their services and as a result of it, their potential customers have increased as well. Their sales are improved in recent times because of our effective social media marketing strategies. Our SEO services have improved the optimization of their site which has played a key role in the success of their online services. Are you looking for Custom Web Design, Logo Design, Custom Web Development?